Ranee wrote and asked "Where did the Poinsettia come from, it's original place?" "How do you care for one?" Poinsettias require medium to bright light, but never full sun. They prefer to be kept on the cool side, 65°-70° during the day and 55°-60° at night. They will lose leaves if they are exposed to temperatures below 50° or above 80°. Keep your Poinsettia as far as possible from heat sources or cold drafts. add enough water so the excess drips out the drain holes, but never allow the plant to sit in water. 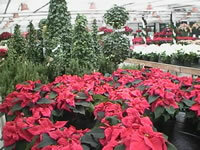 Feed your Poinsettia every 2 weeks with an all purpose liquid 10-10-10 fertilizer while the plant is actively growing. 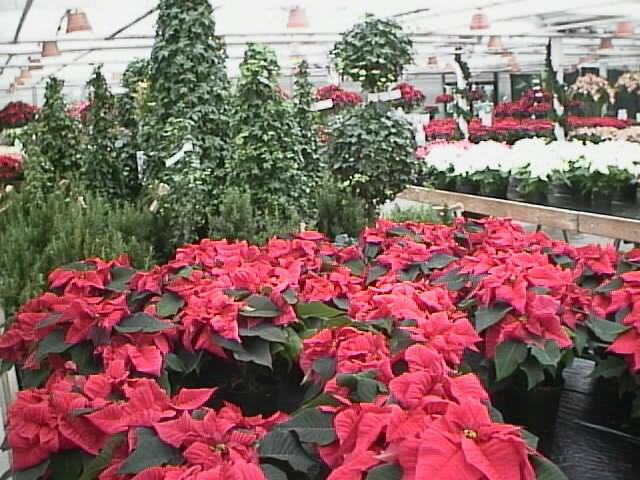 Poinsettias are perennials, so it is possible to keep them growing from year to year. 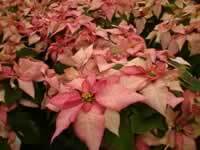 The Poinsettia is short day plant that blooms in reaction to the natural shortening of the days in fall. with a night temperature of 50° F. beginning in mid September. or by covering the plant with black cloth, black plastic frame or a cardboard box. At this stage, ANY light, even turning on a light bulb in the room for a few seconds will delay the bloom for up to a day! Your Poinsettia plant should be returned to the light each day and given a minimum of 4 hours of direct sun. every 2 weeks using a high nitroger fertilizer. 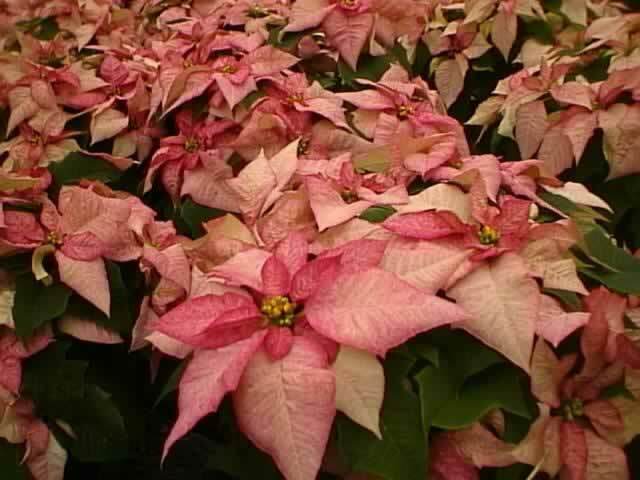 Poinsettia Plants were first brought into the United States in 1825 by Joel Robert Poinsett, while he was serving as the first U.S. ambassador to Mexico. He found the plants growing wild on a hillside near Taxco, Mexico. When he returned to the United States, he sent the plants to different botanical gardens all around the world. The first Poinsettias were sold for Christmas in the US about 1850. Today there are over 60 different varieties of Poinsettia plants in 20 or more solid and variegated colors, resulting in the sale of over 65 million Poinsettias in the United States each year! has distinguished itself as one of the most popular LiveDirectory sites in its category. In recognition, we have promoted the site to NBCi's premium Directory http://edition.nbci.com. Please accept our congratulations on your submitted site being including among the best sites on the Web!